Any date for its road worthyness? I was hoping it would be ready this year or early next but funds won't allow it. Mechanically it's ok, unless the lay up has caused any problems, but the bodywork needs attention. Body work I would hope is relatively cheap, especially if you are fabricating bits yourself. Hope it is ready for the 20th anniversary! Alfa Romeo - La bellezza non basta! Update time...car went into the body shop about a month ago, I'm hoping for some news soon. It's being converted to widebody for a couple of reasons. Firstly, good rear quarters for skinny cars are almost impossible to find...but I guess mine could have been repaired by a good body man. But the real reason is the new look I want for the car....widebody, with the following bits added; can you guess what it is yet? ; can you guess what it is yet? The wheels are the same as the TiZ but a different PCD so I need to mess about with them a bit. ok so what kind of other cars had them ? 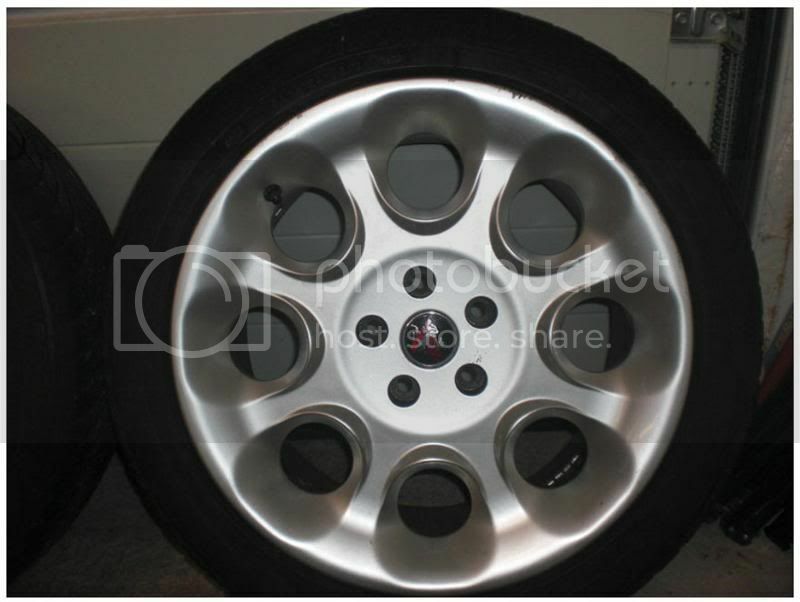 I think there was a different 5-stud wheel fitted to the 916 GTV or perhaps 164 but not sure about that. Yes, and Lancia Kappas...that it's. Looking at the ET these could have come from a Lancia but I doubt it. Just need to find a way to fit the things now! If everything just bolted straight on it would be boring and wouldn't be worth the effort would it? But then again it would be nice if something fitted straight away now and then. Wrinx, nice project. I'll be waiting for news about the it, wheels are going to be a headache, but at the end it's worth to have a TiZ. Thats easy to fix, build an extension to the garage. hey there... i have same steering like you. i bought it somewhere in germany when i was on hollidays. i bought new with center hub. Its alfa 155 DTM zagato design/TiZ steering... ill post some pictures soon. OMG... you have to remember something about the seller. Such a nice steering wheel, enjoy it! You've not got the hang of this haggling have you? 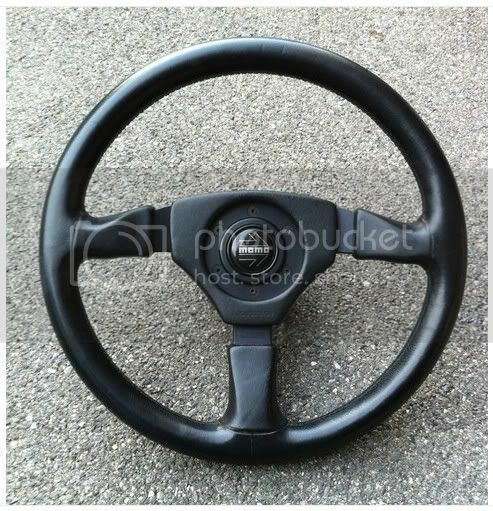 Still I'm sure most people on here would love to be able to get hold of that steering wheel for €80.